Many of our DIY tutorials have lots of steps and require a collection of supplies, but not today! 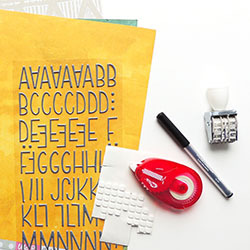 Create a letter writing kit for each child with just a few items. We included a clipboard, white paper, a pencil, and an envelope. In the center of the table we had markers, crayons, and glitter glue for everyone to decorate their letter before writing. You could decorate the letters ahead of time or let the kids get creative. Let's take a look at a few backgrounds you all could create. SQUARE FRAME | Holly, ornaments, and snowmen are easy images to create. 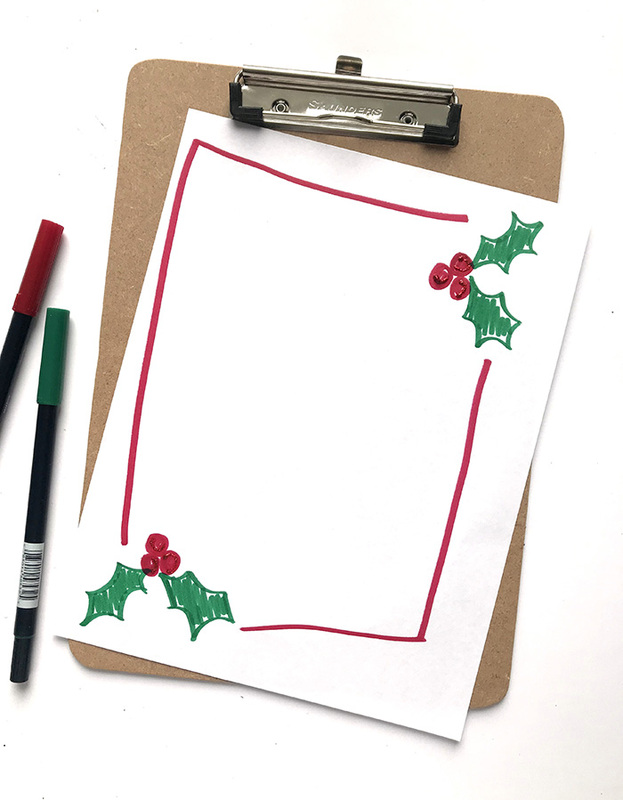 Draw an a Christmas themed item in one or two corners of the paper. 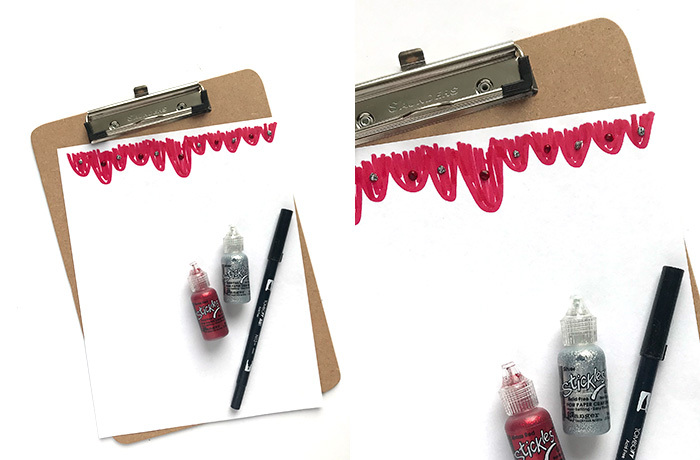 Use a marker to quickly outline the border of the page. We added a little glitter glue to make the holly berries sparkle. 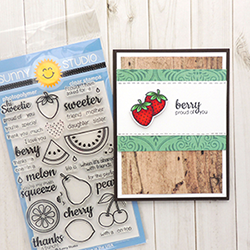 SCALLOPED BORDER | Turn the bottom or top of the page into a work of art with doodled borders. Create scallops, Christmas garland, or snowballs. 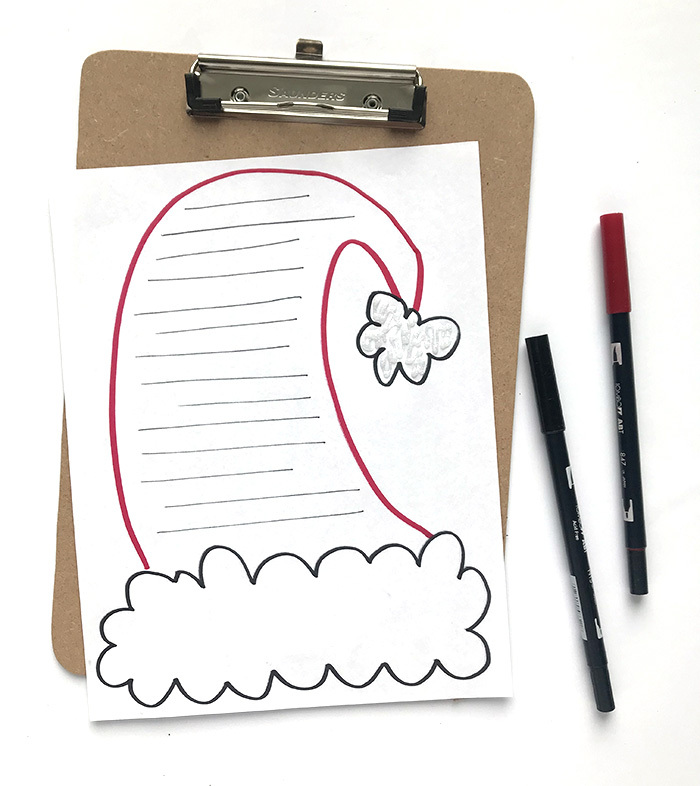 SANTA HAT | Draw a hat or beard with markers. We added just a sparkle of glitter glue inside the pom pom. To transform it into a letter, add lines inside the image. The base of the hat is left empty for the child's name or a drawing. FILL IN THE BLANKS | Create a template for your children to fill in. We added four things that they could ask for, including something they want, something they need, something to wear, and something to read. We left a space for drawings or additional wishes. There's even a frame each child can draw a photo of themselves. 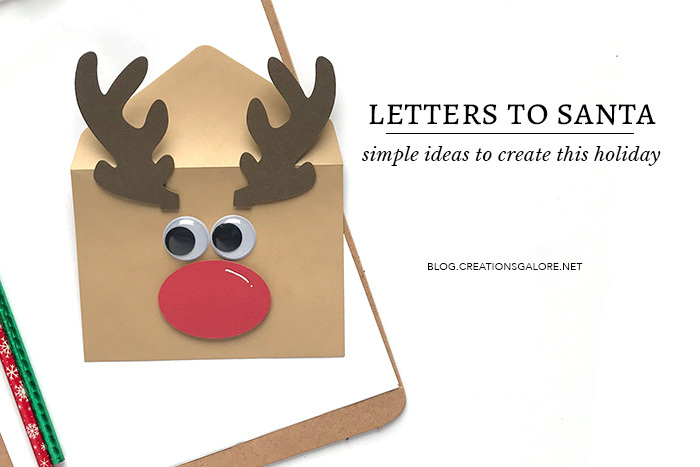 Once completed, slip your letters into a fancy envelope to send to Santa. 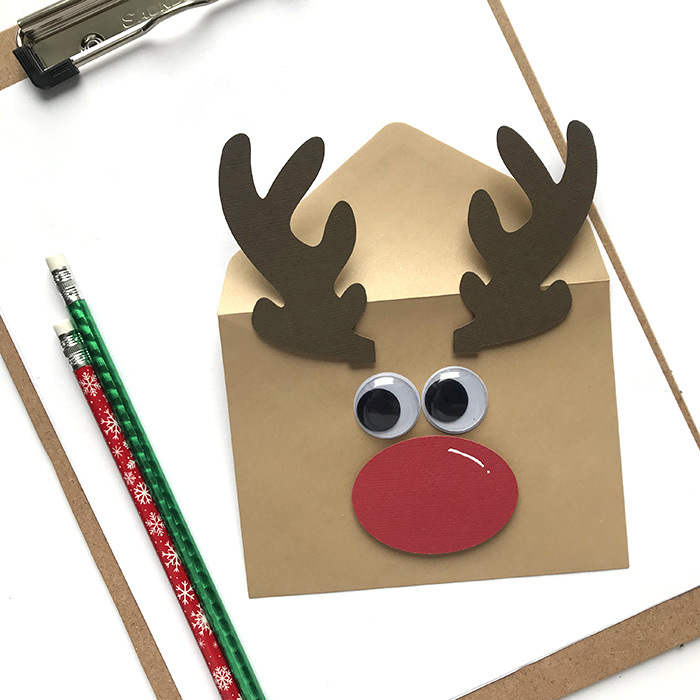 We added two googly eyes and shapes cut on the Silhouette Cameo to create a reindeer. Of course, we all love happy mail. 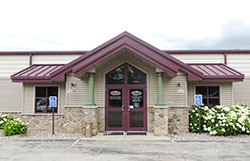 To make sure Santa receives your letter - and to get a reply - follow these directions from the US Post Office. 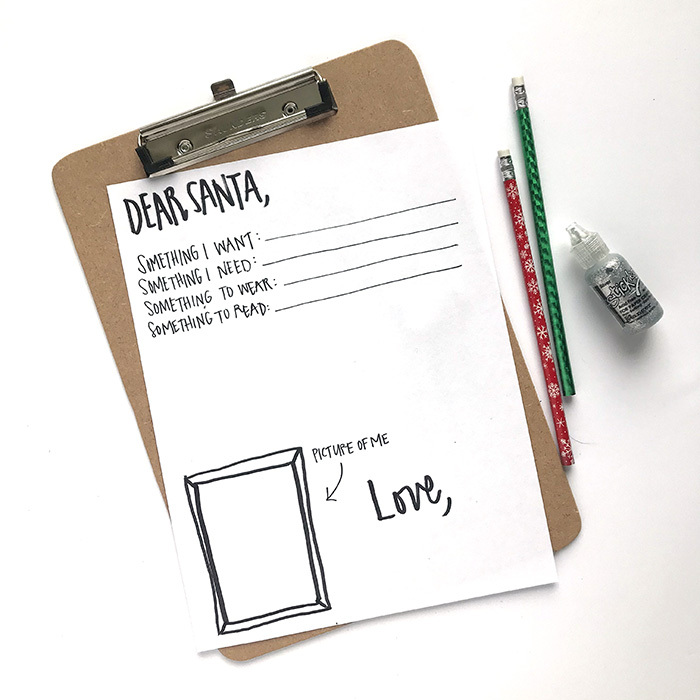 As a reminder, make sure to send off your letters by December 15th to hear back from the North Pole.